What is an investment? An investment is the method of allocating money to a particular business, buying a real estate property, etc., hoping that it will generate income in the future. An investment is also a form of asset. 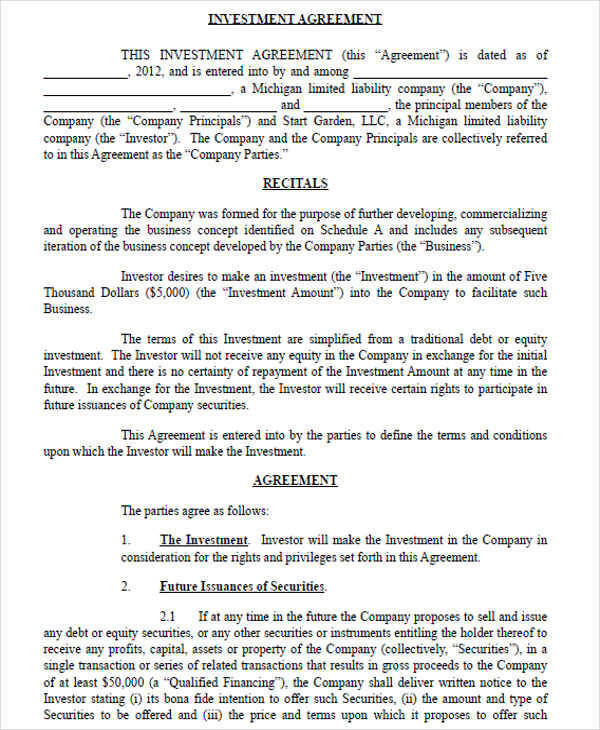 Before investing and going into a business deal with anyone, a Business Agreement is necessary. 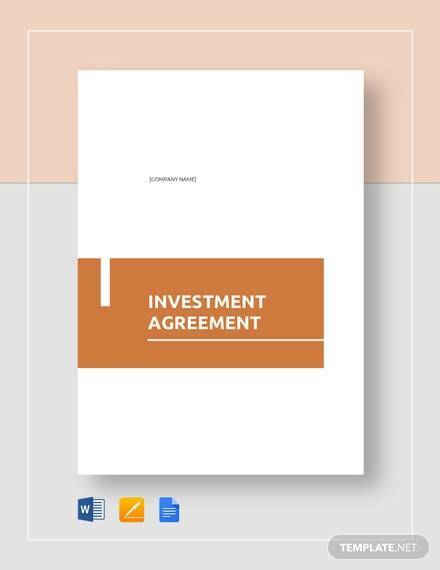 If you are looking for investment agreements, we provide you with samples of investment agreements on this page. 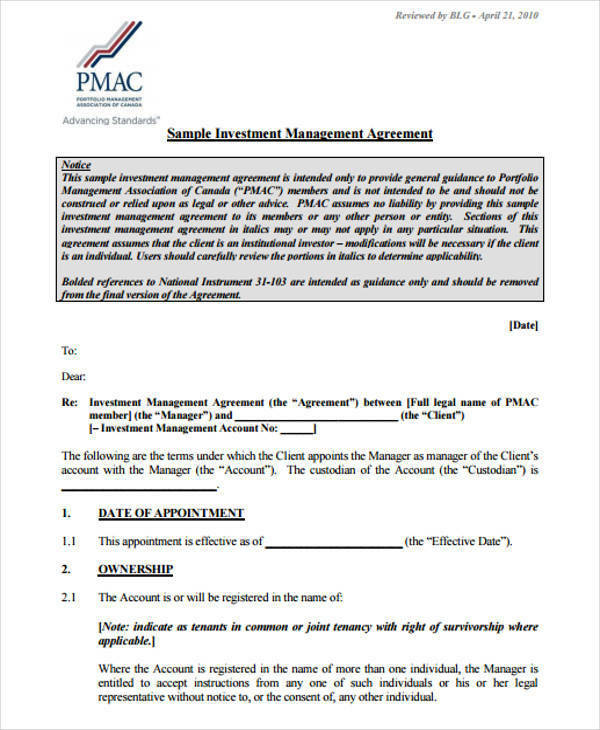 You may use them as reference to make one or you can use them as a guide in formatting your investment agreement. 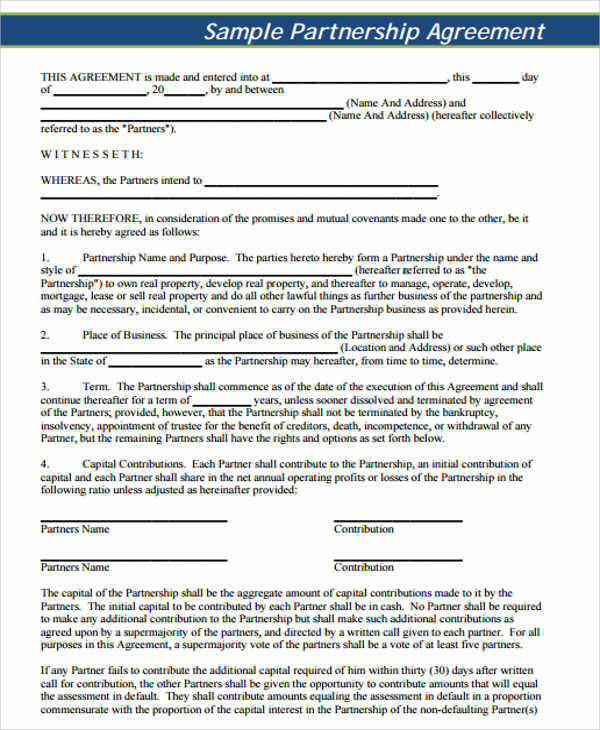 Our Partnership Agreement may also be useful to you if you are going into a business partnership. 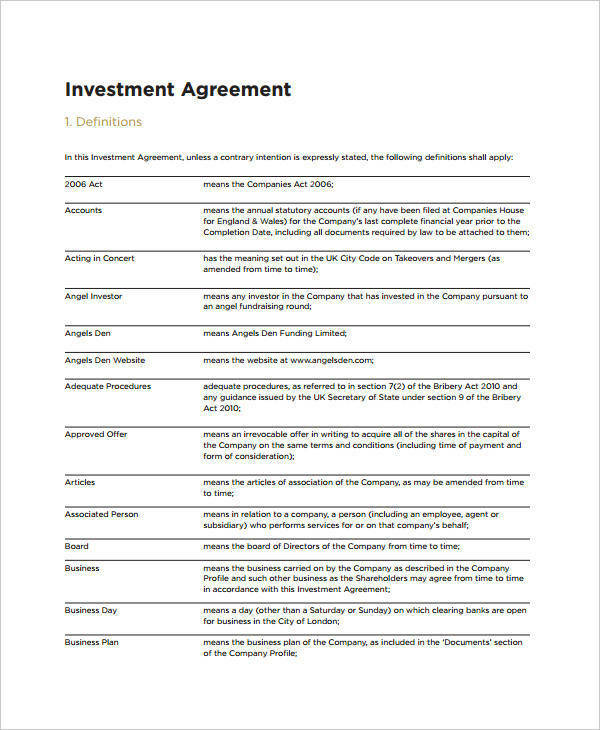 An investment management agreement, as defined by the business dictionary, “is a formal arrangement between a registered investment adviser and an investor.” An investor allows an investment adviser to manage the investor’s assets based on what was agreed upon in the written agreement. An investment adviser refers to an individual or a group who gets compensated to advise an investor and to manage his or her business. An investment adviser makes decisions for the investor based on a strategy that will benefit the business or company. 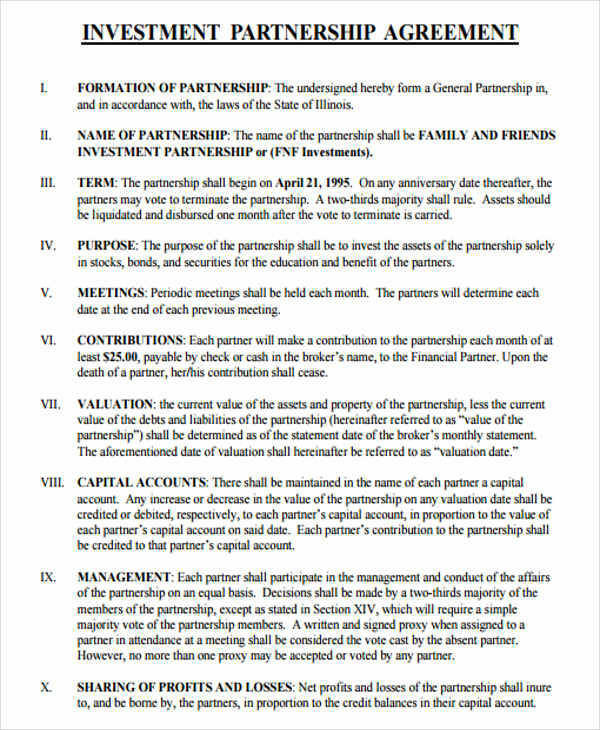 Investment Agreements are also contracts and can limit what an adviser can or cannot do for the investor. Parties. This refers to the shareholders and the investors of the company. Confidentiality. 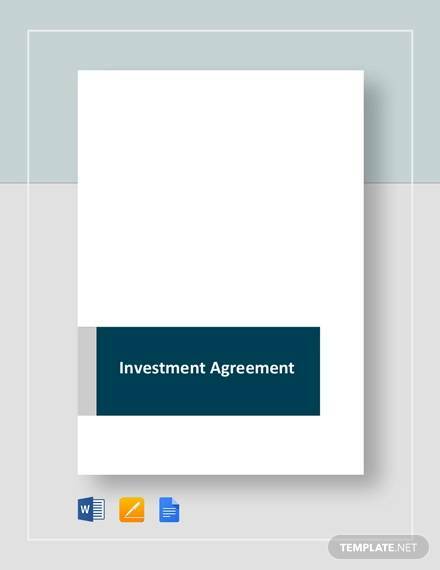 When an investment adviser and an investor agrees to keep information confidential and that these information should not be given to unauthorized individuals. 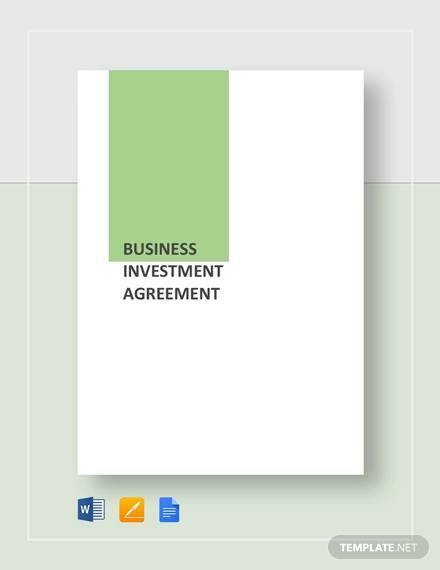 Business Investment Agreements are examples of an agreement. Costs. 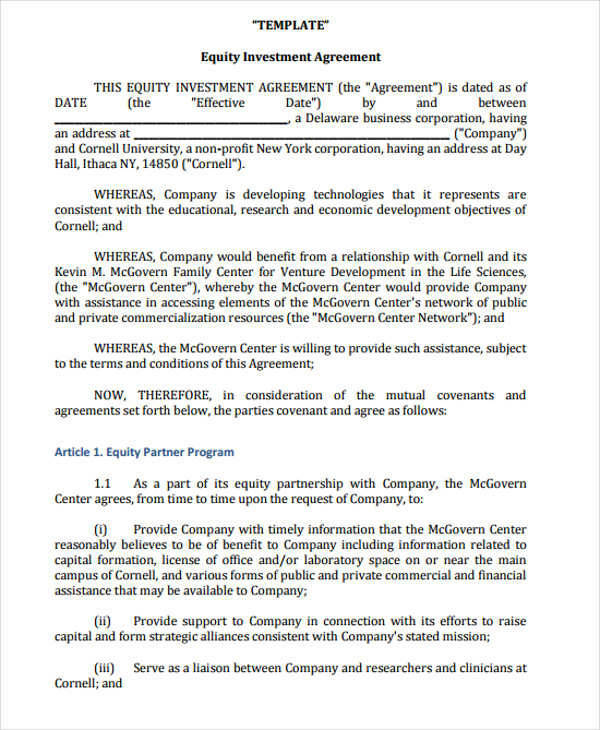 The agreed upon compensation to be provided by the investors to the advisers. Also contains the costs in the management of the business. 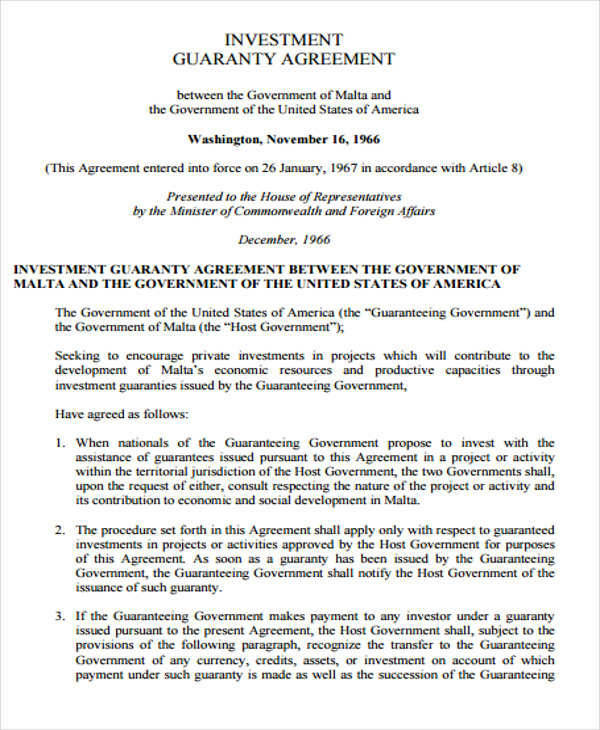 What Is a Guaranteed Investment Contract? 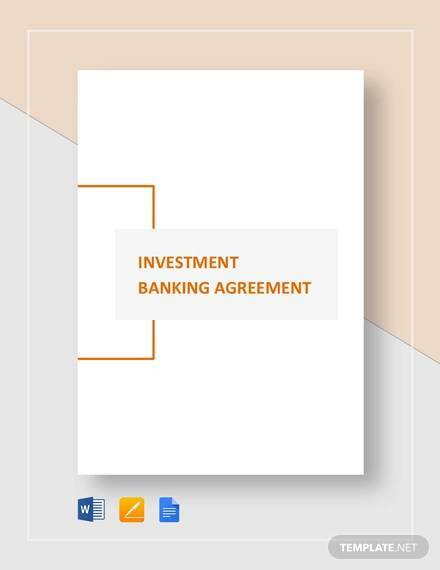 As defined by Investopedia, “A guaranteed investment contract is an insurance contract that guarantee the owner principal repayment and a fixed or floating interest rate for a predetermined period of time.” These contracts are issued by insurance companies for business who qualify and are guaranteed return of investment. Stocks. This investment refers to the buying of stocks in the stock market. This means that if an investor buys stocks, he or she is part of the company’s success or failure. For example, if a company is successful and the stock market goes up, the stocks owned by the investor also increases. Bonds. When an investor loans his or her money to a particular business or company, this is called a bond. The loan is paid by the business to the investor at an interest rate as well as the bond’s face amount. Real Estate Investments. 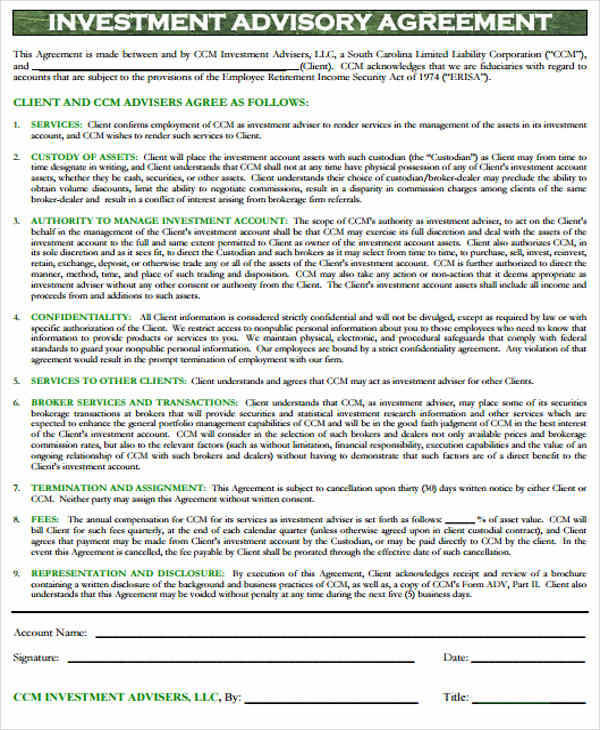 This refers to the purchase of real estate properties, whether it is a residential or commercial property.